In theory this should be the 'cleanest', 'unmolested' audio input feed for Accuphase products. 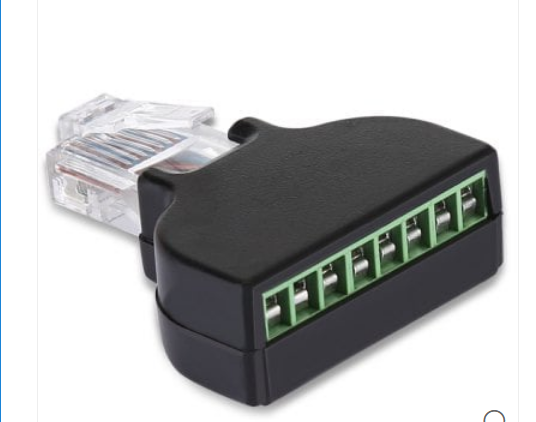 Is it possible to by-pass the USB input and use this instead? This is what I know about HS-Link. Absolutely nothing! However, my collegue Steve has kindly provided the following graphic. It is a balanced I2S signal. Pin-1 to Pin-6 are balanced inputs (i.e. from player to DAC). 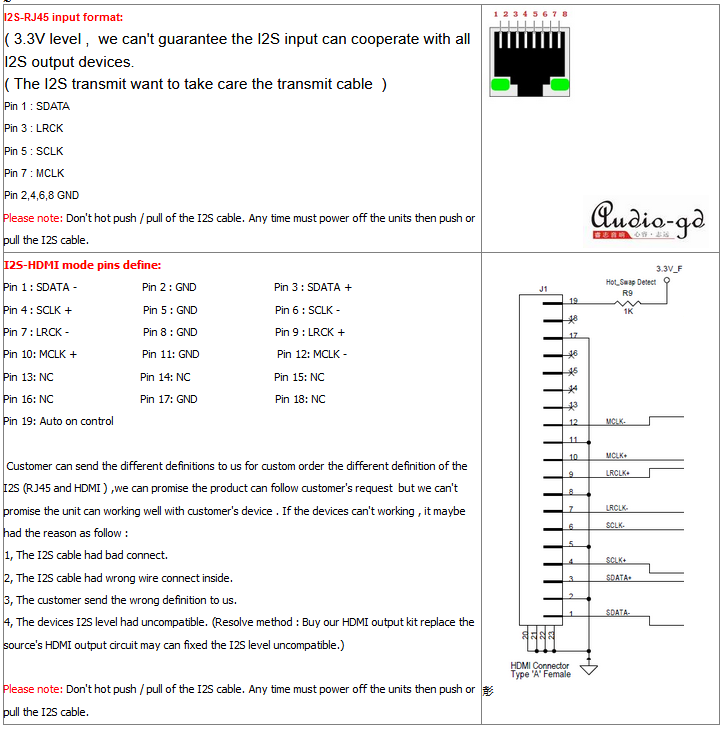 These are the balanced I2S stuffs for long distance transmission. 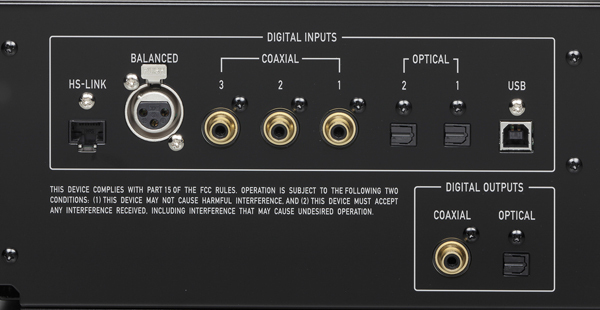 Pin-7 and Pin-8 are outputs from DAC to player. Not entirely sure if this is balanced or not, but assuming it's balanced. Ground is probably via STP's shield. So the key is literally on point 5, key. 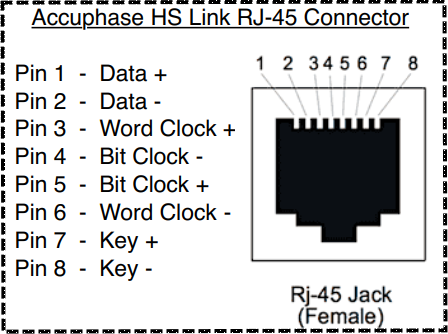 We assume this key is an encryption key (token) sent by the Accuphase DAC to the Accuphase DP players, and the DP will not transmit the I2S packets unless a valid token is received. This in theory shouldn't be a problem with computers, because there is no DRM. So the idea is to cut up a HDMI cable and a STP cable, and pin for pin match the output of the DI-2014 into the input of the HS-Link. Sounds easy enough I guess, but can be dangerous. (See the please note section above). Hopefully in the next few weeks I can get to try and see what happens.... Hopefully nothing get's blown up as I probably wouldn't bother getting this fixed if that happens . This input goes direct to the FPGA chip, so if that is blown, likely all inputs will no longer work. The 'direct input' is one temptation that's hard to resist though, no conversion of audio signal should in theory yield better audio. Granted technically there is still a conversion happening with the DI-2014 (as it's converting USB data from the copmputer). This is just a 'proof of concept' for now.. If this works, we will have to look for a PC solution (i.e. an audio card with balanced I2S out, e.g. Pink Faun). AFAIK there is no Linux driver for the Pink Faun yet. I wonder if I'm good enough to write one. Update: Got the cables. Will attempt to do this over the Christmas break. Watch this space :kiss: !!! Don't expect HS-Link will work, but hey, who knows really? Update: Got the cables. Will attempt to do this over the Christmas break. Watch this space !!! Don't expect HS-Link will work, but hey, who knows really? Any update on getting the HS-link connection working. Now I've gone to an Accuphase DP-560 it would be nice the use an IsS connection. (13-Aug-2018, 04:19 PM) a.dent Wrote: Any update on getting the HS-link connection working. Congrats on the move to Accuphase... You can't go wrong with this brand really. Havn't had a chance to look into this yet unfortunately. So many other things cropped up this is relagated to the back burner.. Seeing it has a USB input (with support up to 11.2896 MHz/1-bit DSD), the DP-560 might support native DSD. Have you tried the SoTM to this USB and see if it works? If not, maybe it's possible to get this working in Snakeoil OS. All I need is the diagnostics file (will probably need 1 or 2 goes to get it working though). Hi, I am also very interested in the possible opportunity of connecting Non-Accuphase devices via HS-link (I2S). Have you had a chance to give it a try? Cheers, Mark. (30-Jan-2019, 06:39 PM) Markuzz Wrote: Hi, I am also very interested in the possible opportunity of connecting Non-Accuphase devices via HS-link (I2S). Have you had a chance to give it a try? Cheers, Mark. What do you mean by non accuphase devices? As a source? Right now, even if I get this to work (a big if), the source will be a PC. Other hardware is beyond my capability unfortunately.